Are you prospecting for gold? Back in the gold mining boom, prospectors would unearth a mineral called pyrite and be duped into thinking it was the real deal. Pyrite is an iron sulfide and the most common of the sulfide minerals. Think of all the time, effort and labor that goes into gold mining. Especially back in the day when all you had was a shovel, a pickax and maybe a pack mule. Now, let’s pretend you aren’t a garment decorator today. Instead, you are a gold miner in California hoping to find your fortune. You wear some new-fangled tough pants called Levi’s that you bought with your tools at a quilt-work patched tent on the outside skirts of what could loosely be called a town. Earlier, you secured a small claim that looks promising by selling your horse. And like hundreds of others within view, you put together a hard-scrabble existence that is either destined for glory or an abysmal failure. You don’t really know what you are doing, but you are hard at work at it. Sweat boils off your face, as you spend countless hours in back-breaking misery. Suddenly your pickax clomps on a hunk of a brassy-yellow rock in the dirt. Queue the Yosemite Sam dance. You work frantically hauling that rock out of the ground, (It’s the size of your head! ), and then high-tail it to the mineral office to get paid. All the way there as you lead your cantankerous mule down the uneven trail you are dreaming of all the fancy things you might buy with your new wealth. That’s when they tell you that it’s not worth a penny. Our industry has our own version of pyrite. 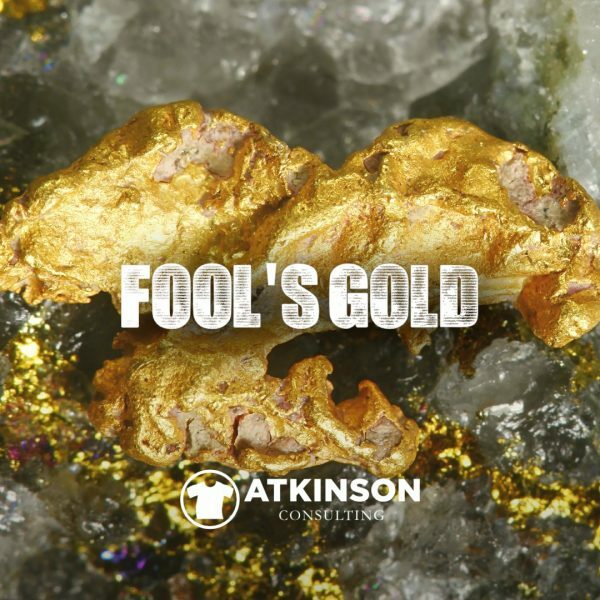 Have you spent hours digging up your own slab of fool’s gold? This can come in many forms in a shop. Do you swing your pickax at these chunks of color every day? Many people start out in this industry without much institutional knowledge. Especially on pricing. The most common pricing mistake is to use the “average of shops around you” method to construct a pricing list. Then, to be competitive, you’ll go 5% or whatever underneath that average. Why is that Fool’s Gold? For starters, how do you know that these knuckleheads even know what they are doing? What if their price list was achieved with the same methodology? Now everyone is racing to the bottom, as every list is a few percentage points cheaper than the average. When everyone wonders where did our industry margin go, that’s the answer. Averaging the averages, then chopping off a chunk. It is the decorated apparel industry price-driven lobotomy. Also, there could be a larger competitor in that mix too. Do you honestly think their business costs and yours are in alignment? 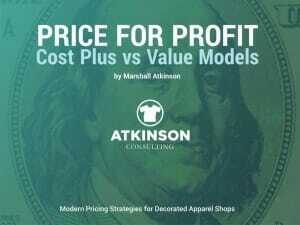 A better way is to construct your price list based on your own costs and shop efficiency. Use your own math. Sally comes into the shop and wants some shirts for her big event. She is painfully indecisive. Now your art team has to use questionable instructions to create three designs by Friday so that Sally can choose the one that strikes her fancy. The Fool’s Gold notion here is that in order to make the customer happy, “we’ll do anything”. Including, evidently, throwing labor dollars out the window. Sorry, but that just tripled the art time investment for that order. I’m not sure what you are paying your art staff, but this is a great way to lose money on the job before you even print one shirt. By the way, are you charging Sally for that art? Instead of that, why not build a system for your art team that can give them the information and tools they need to do the job right the first time. Make Sally happy from the start with one design. By the way, “Do something cool” doesn’t count as a decent set of instructions. Ever. That’s lame. Your art staff hates it too. Sure, Maria might have to spend more time with Sally. Ask more questions. It might be like pulling teeth. Have Sally look through some examples of work you’ve produced before, or use a series of Pinterest boards to nail down an idea. That conversation could save your creative team a lot of work and frustration. Also, if your art department isn’t knocking out their work with about an 85% first-time approval rating, you need to spend some time investigating this. Here’s a big one. This is a no-win situation for long-term growth. That potential customer isn’t seeing anything else of value that your shop brings to the table. So, what are you doing to educate them on that value? Your customer needs to recognize the value you bring and crave what you do. You don’t have to participate in that “cheaper somewhere else” discussion if you are aligned with your potential customer on other points. Guide the customer into the right shirt blank based on the answer. That choice makes up half of the intangible awesomeness of the order. The right shirt can make all the difference for how the end user feels about the item. Is this something that they will wear all the time? Or will it be worn only when they mow the lawn? Once that garment is chosen, then you can chat about ideas for the graphic. The shirt style and color can influence the decoration to such a degree it is a great place to start. Get that nailed first. Then, work out the decoration specifications. What should the end user feel about getting the shirt? Will they cherish it and will it become a staple in their wardrobe? How will the shirt be presented to them? What language are you using to present those type ideas when you sell? 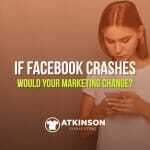 Are you conveying that message in your branding? If you want Mercedes-Benz like profits, don’t sell your brand like you are Kia. Over the years I’ve seen a lot of very strange orders waltz through the shop. Salespeople sometimes can’t say no, especially if they are on commission, or are the owner of the shop. These are the turkeys that are loser orders from the start. You have no business saying yes. “Sure, no problem.” is how the shop responds though. “We’ll figure it out.” But often you don’t. In fact, that mess is handed to the production team and they look at you like you have two heads. Have you seen that look before? When the production manager asks, “What were you thinking?” you know you are in trouble. Then, of course, you blame him for excessive overtime. The biggest problem here is that if you do enough of these, you gain a reputation for pulling off that miracle. That just adds fuel to the fire. Now every order they send is with that time frame stamped. It’s the norm. Also for some reason, you find yourself sending your staff members out to drop off their orders on their way home after work. Now, they aren’t paying for the rush timeframe or the delivery. You don’t even look at the impact that this customer has on the rest of the jobs that are slated. What’s funny is that you know this customer sends larger orders out to another competitor of yours. All you get is the difficult stuff. They continually promise you more, but you don’t see those “decent” orders much. How pretty is that pyrite? Why do top athletes, Navy Seals, musicians, chefs, pilots, and other people with elite skills spend so much time training and learning their craft? So they can recognize pyrite from real gold. In your shop, do you have a solid training program for your staff? Or do you see training as “an expense”, or a “we’ll get to that when we aren’t so busy”? How often do you think baseball players practice making that double play throw? Surely you’ve seen that top musicians continually practice their own songs, so they can deliver incredible experiences in concert. Is it foolish to think that it is should be different for your business? Training is how pilots get the practice to land the jet in a storm or on an aircraft carrier. That’s also how your catcher is going to learn to print orders for you. It’s how your customer service staff can learn to upsell a customer with another item on the order to increase revenue for your shop. So how does that shortstop on the baseball team, that pilot, or your staff members find the time to get the training? It’s scheduled. There is a program. It’s an on-purpose event. If you are digging for gold correctly in your shop you are already building your bench strength with a training program. Bench strength means that when Fred the printer quits, you have three other people that can step up. In fact, the leverage that Fred has had over you for a few years, as in his mind he is “indispensable”, instantly vanishes when more people can shoulder his load. Back to that mining analogy. Once prospectors dug up enough real gold and pyrite they quickly learned to tell the difference. In fact, veteran miners could spot the difference easily. They would scoff at the rookies getting excited over nothing. The same thing happens in our industry too. Top operators see members of our industry getting excited about our versions of pyrite. If you are in a forum or Facebook group, you know what I am talking about. Instead of feeding into that hysteria, they do their own thing. Their gold mine doesn’t have veins of pyrite, as they are charting their own course and success. This comes from the awareness that they don’t have to dig for fool’s gold. They have learned to spot the difference. In fact, they can look beyond what’s around them and discover new fields to strike it rich while the main herd of miners continually struggles over the same low-end nuggets. So what are you digging for today? Don’t be foolish. Grab my eBook, “Price for Profit” and learn how to construct a screen-print pricing list that uses your shop’s math and production efficiency data. The book walks you through the set up with easy to follow and implement ideas. No more using the “average of the shops around me” method. Do it right. Click here and download yours today. 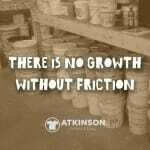 There Is No Growth Without Friction If Facebook Crashes Would Your Marketing Change?